Usually unless a very rare bird shows up, July and August are a time to relax play golf, giving the birds a chance to take care of their young. This meant that I had to hang up the camera, which for me was as hard as trying to lose weight (but I am trying). It’s during that time of the year, I bought a macro lens, a Nikkor f2.8 AF-S VR lens and began to experiment with close-up photography. I had seen setups with tripods and special flashes, which I tried to avoid by doing all my macro work, handheld. It took a while, lots of experimenting but finally I started seeing results. Keep in mind that this little spider, a Bronze Jumper, is just a hair over 1/4 of an inch long. I think he needs a shave…. One of the problems I had was, how was I going to ID all these little critters. I asked people for help with ID’ing but soon I had to buy a guide. I asked Jeff Skevington, a friend, what book should I buy, as a source for information. He suggested Insects: Their Natural History and Diversity by Stephen A. Marshall, a whopping 732 page book (not a pocket guide by any means), filled with images and text of Eastern North American Insects. Don’t let anyone fool you, even with this book, it takes a while to find the names. Another source is BugGuide.net, an online site with thousands of images, these images are submitted by people like You and I looking, for answers . Even with all these sources, given the number of insects out there, its very easy to get it wrong. 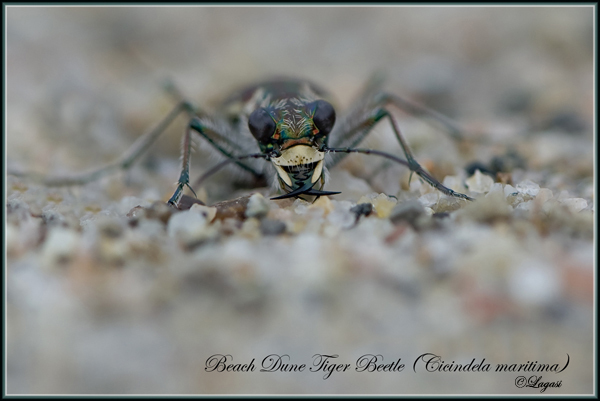 One day I saw my first Tiger Beetle image online, right away, I threw down the gauntlet. I just had to get an image of one. Luckily here in Ottawa we have a few types, 6-Spotted and Beach Dune that I’ve photographed. When taking this image, I can just imagine what people watching were thinking, a fully dressed man crawling on a beach with a camera, surrounded by gulls. Some came over and asked, then politely left shaking their heads but I did get the photo. What a beauty! I used my D70 with the 105 macro lens, settings were ISO- 250, f9, 1/200, AF-S Dynamic, Spot-metering. Here’s a close-up look….Thank God their only 1/2 inch long. 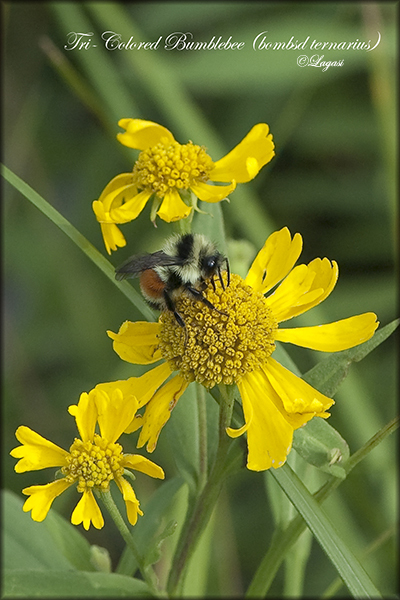 Marshall’s is on sale on-line, others re Kaufman’s Filed Guide to Insects of N.AM. 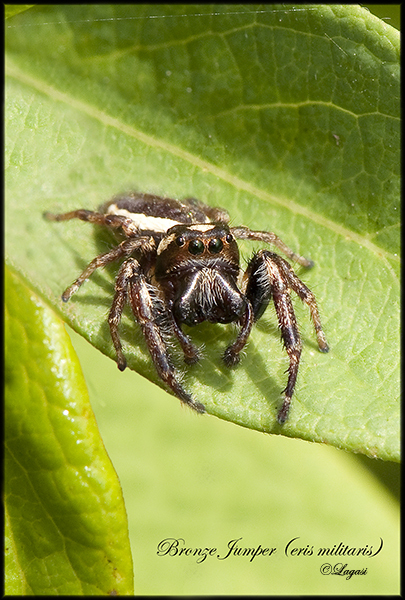 and Evans Filed Guide to Insects and Spiders of N.AM from the national wildlife foundation. Marshall’s is on sale on-line, others re Kaufman’s Field Guide to Insects of N.AM. 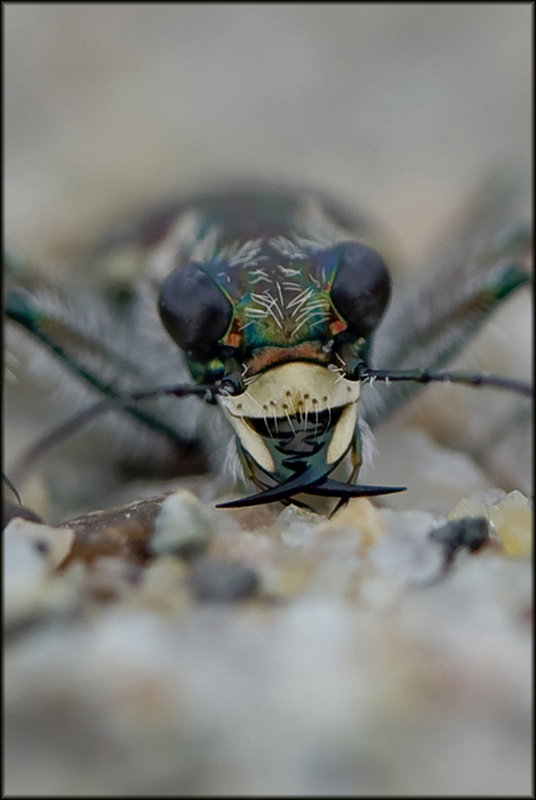 and Evans Field Guide to Insects and Spiders of N.AM from the national wildlife foundation.